The internet of things is quickly achieving the same levels of froth and excitement as big data in the venture and entrepreneurial community. And like “big data,” the prevalence of smartphones, cheap computing and connectivity all are combining into a substantial and real opportunity under all the hype. So instead of yet another smart light bulb or connected hub (yes, I love those too) let’s dig a little deeper where the internet of things is already changing the fortunes of several large companies. Connectivity: This one is a no-brainer. If we want things to connect to the internet, we’re going to have to put radios in them. It may be Wi-Fi, Bluetooth, Z-wave, ZigBee or even a 3G or 4G cellular standard (or all of the above) but there has been and will continue to be a land grab for radios among the big chip companies. The rise of connected devices is the reason Qualcomm bought Atheros back in 2011 and the reason little known microcontroller company Atmel purchased Ozmo Devices in December. We’ll also see new products aimed at integrating radios together, not just from Broadcom — the king of radio integration — but also smaller companies such as Redpine Signals, Altair and others. And these radios will be going into more devices. Just a quick scan of Kickstarter or Indiegogo shows a plethora of home gateways, Wi-Fi enabled devices and sensors that have radios integrated from a variety of vendors. A report from the OECD on the internet of things estimates that a family of four will go from having an average of 10 devices connected to the internet now to 25 in 2017 and 50 by 2022. Every single on of those will have a radio — or multiple radios. Control: These chips are the brains of the operation. But unlike in the personal computer or server market, where Intel and AMD fought for dominance (more truthfully, AMD tried to at least achieve profitability), or the smartphone market where Qualcomm has taken out competitors ranging from Texas Instruments and Freescale on the application processor side (leaving Apple, Samsung, Broadcom and Mediatek standing), this market has a much wider variety of players known for their embedded processors and microcontroller. The one name that spans all of these industries is ARM (s ARMH). At the low end, microcontrollers can range from 8-bit processors that manage setting on your microwave to higher-end chips inside a set-top box. Companies like Freescale, Texas Instruments, Atmel, Intel and STMicroelectronics all are pushing their microcontrollers (MCUs) inside the internet of things. The variety of use cases and devices inside connected devices mean some gadgets will need more power savings than performance or merely just a cheap 32-bit chips designed for a more industrial application. Many of these companies have an advantage for the internet of things because they are used to supporting a wide variety of end products with their firmware and sales teams. They have designed their chips to be modular. If the bigger players want to play here they will have to build out multiple lines of chips with differing performance specs that can be supported across a wide range of end devices. That’s very different from building out a line of chips with slightly different specs all designed for servers. I bet a few of the big vendors, especially on the connectivity side, might try to acquire this knowledge. Sensors — Other than microcontrollers, this is a huge space that has already gotten a lot of attention thanks to the wide array of sensors making their way into our smartphones and personal fitness monitors. 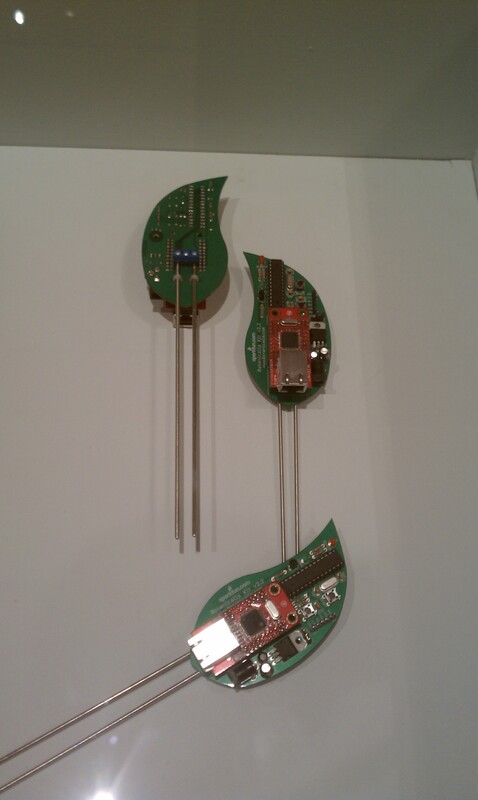 Accelerometers, microphones, gyroscopes and the like will be joined by moisture, pressure, light and temperature sensors. Some of the names in this space are familiar, from such as STMicroelectronics, LG, or Samsung. But companies such as Freescale, Fairchild Semiconductor, Bosch Sensortec, Knowles Electronics and InvenSense will also see opportunities. And since many of these sensors will be integrated onto small packages with radios and maybe even MCUs there will be a lot of value for a company that can pop all of the above onto a system on a chip — it’s cheaper, smaller and more power efficient. 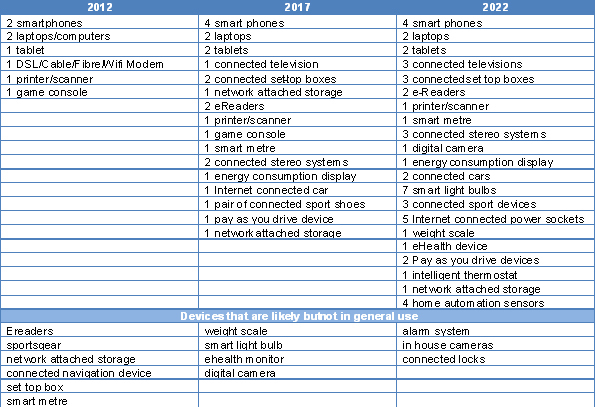 So consolidation will happen within these categories as well as across them as more devices get online and we ask them to share more information about their environment. So be they MEMs, microcontrollers or radios, there’s a lot of silicon (or maybe gallium arsenide) inside the internet of things. And the types of chips required will stretch the silicon industry — that has been primarily focused on keeping up with the performance requirements of Moore’s Law — into new directions. Power savings, integration and size will matter when it comes to connected devices more so than the all out race for performance that has dominated the chip industry for decades. The two most meaning chip companies in the IoT space, I believe, are TI and ST – and in no particular order. They understand low power, they understand size geometries and make chips that can be used for controllers and also for sensors. As an example take a look at the Philips Hue or Nest – both have TI and ST chips (Nest is TI, Hue has both ST and TI). Kickstarter, of course, is a big boon. I covered 8 projects on Kickstarter on my blog here: http://bit.ly/Q02Mk2. Enter stage left…… Ciseco with EVE and other user focused ideas. Land grab! who on earth gave that impression. For example within Ti the term IoT wasn’t even in common circulation until very recently, some others are more proactive but not by a country mile. It’s marketeers usually talking a good game, very little actual business transaction in this space. We are one of the few companies actually making a profit in this sector, that’s predominantly because of low overheads for our RnD. It’ll be quite some time before the IoT affords any significant income for the manufacturers. Look to companies like EFM, the IoT will be driven by innovation not “units”. Fun article but you’re looking at the first baby step stage right now. There is no gold rush at the moment, that’s just a bunch of balderdash by GigaOm trying to generate something to write about! Look, even the cloud is still in its youthful days. It’s in these youthful days that people can make land grabs, which is why we write about it. Means consolidation will happen, specially on the Hardware site of things. Software is far from clear. Right now it’s more a generalization, disguised in terms of Predictive or Anticipatory. The company which implements true personalization, context, will take it all. The OECD report is hilarious and everybody needs to put the breaks a bit on the craziness. One thing that nobody points out is that phones tend to kill other devices. Tablets in 2022? Give me a break,they are dead in a few years. Ereaders are almost dead as it is. Laptop and tablet and phone for the same person? Because using just 1 computing devise is too cheap? One device is enough once the software is there, the hardware is just about there. Health monitors would need to be a lot smarter than what phones will offer and i wouldn’t bet against integration. Digital cameras are dead, set-top boxes hopefully dead soon and i could keep going. Point being that there are many things that can be connected and there is 3D printing and maybe 3D scanners that could be the next device that everybody has but there is also heavy cannibalization and looking at the issue from just 1 side is not ideal. 1 Network Attached Storage is mentioned twice in 2017 List. Please correct it and delete my comment after you are done.